Halloween - general non-furry discussion - Furtopia | Family Friendly Furry Forum and IRC Chat! Halloween is just a few days away. Was just curious to ask what others had planned. Parties? Trick or Treating? Costume contests? Visiting haunted places? Anything else? What costumes will people be wearing, if any? No major plans for me. Got a model contest to go to tomorrow during the weekend before Halloween. I changed my avi and username on an other forum I'm on for halloween. I don't like halloween all that much, so compared to most other years that's ambitious. Nothing. I don't like Halloween. Homework, maybe scaring any kids that come to the door looking for candy. working mostly, boys are going out with there friends so if I'm home I'll be relaxing with some red wine and cheesy horror movies. Did a costume party with my CAP unit last Thursday in my red fox partial and a vintage Volksmarine officer's parade uniform. May suit up at work during break. My neighbor's seem to look forward to seeing me as a certain NHL coyote mascot. I spend all night sitting out on the front porch in costume with a propane lamp and a scout cam. I'm giving out "fun size" Mounds, Butterfingers, and Snickers bars. I'm almost hoping that it rains. Passes out candy to Rocket Coyote, Sither, Movian, Old Rabbit, Storm Fox, Varg, Michen_S, etc., etc., etc. ...You know what, I'll take Halloween as an excuse to enjoy that. 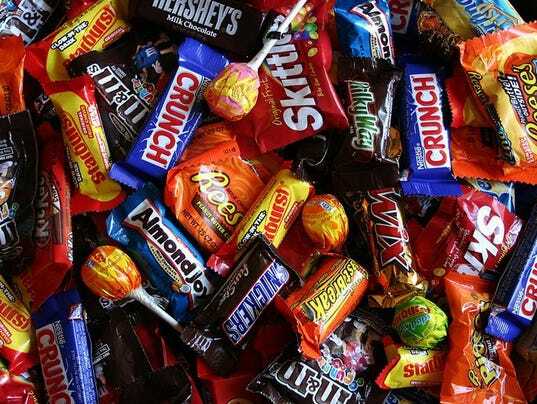 I went trick or treating.